Manhattan offers two distinct higher education opportunity programs, in partnership with the New York State Education Department. Both the Collegiate Science & Technology Entry Program (CSTEP), and Higher Education Opportunity Program (HEOP) provide transitional and academic support to at-risk and underrepresented students. They also truly exemplify our Lasallian mission. Through the below services and dedicated support that CSTEP and HEOP programs provide, students are empowered to learn, and develop the foundation to achieve academic excellence. 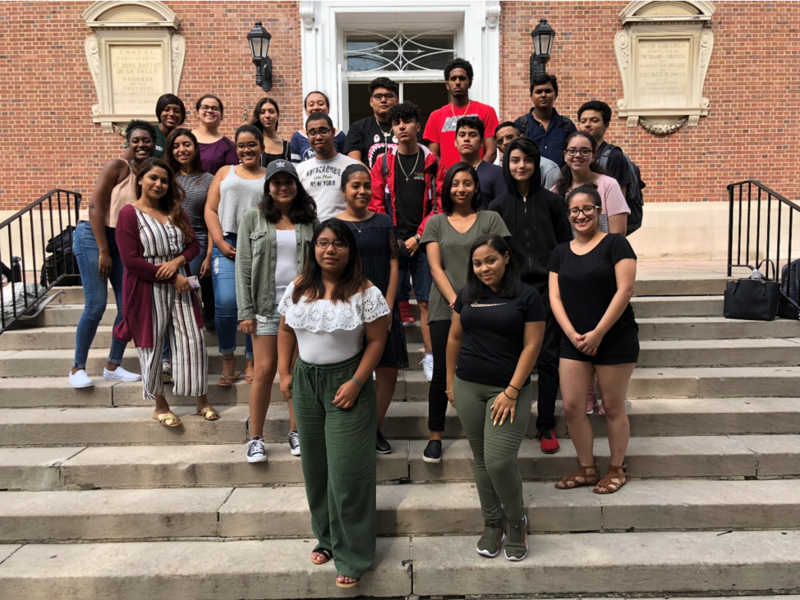 Before they even begin their first year, all CSTEP and HEOP students are required to attend the pre-freshman summer program at Manhattan College. CSTEP students who do attend the summer program are ineligible to join CSTEP during their first year at Manhattan. HEOP students who do not attend nor complete the summer program are inadmissible to Manhattan College. The summer program is designed to orient the student to college life, enrich their academic skills and acquaint the student with the services available through CSTEP/HEOP. Students are required to take courses in English, mathematics, fine arts, science, or liberal arts. The program typically runs from the first week of July to the second week of August and take place Monday through Friday. During the summer program, students are eligible to receive three credits for English 110, a course that is traditionally taken during a student’s first year. This opportunity gives students the flexibility of reducing their course load in their first year and serves as a contingency for future semesters. Students are also given the opportunity to advance from pre-calculus to Calculus I, if they earn a B or higher in the summer program course. Opportunity Programs has a designated learning space for CSTEP and HEOP students, located on the third floor of Thomas Hall, in room 310. 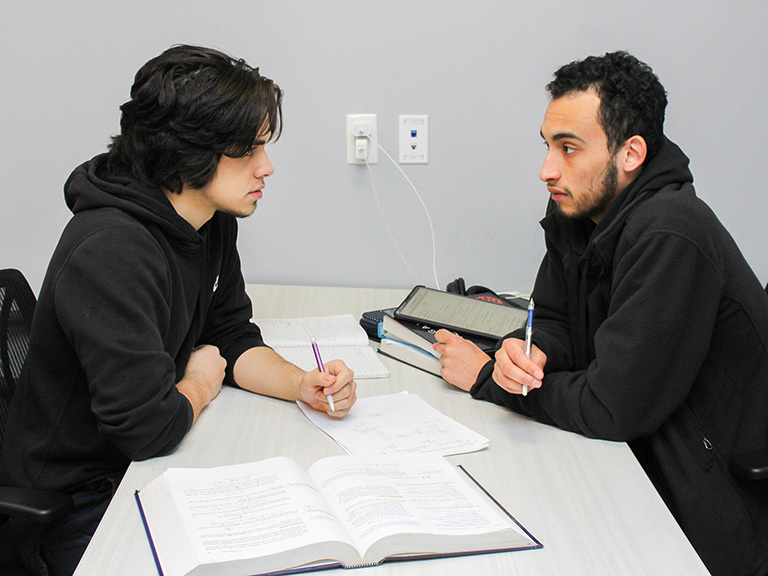 In the Learning Commons, we also offer one on one or group tutoring throughout the entire semester. During finals week, we hold group review sessions as well. There are no restrictions for students, as long as they show up! As well as tutoring, this space open for students to study throughout designated times of the day and evening. In creating this learning space, we hope to create a sense of community amongst our students. All students and tutors are required to register online if they want access to tutorial services.